The best thing about MIB claims payouts is that the damages they traditional assist in securing, are equal to the compensation the victim would have received without the help of the Motor Insurers Bureau. The MIB must be able to establish that you are entitled to claim compensation before they can assist you. As such, they will gather evidence, establish liability, speak with witnesses and capture the medical facts. Once the MIB has decided that you should be compensated, the claim will move forward. This does not mean that you are definitely going to be entitled to compensation if you are in an accident with an uninsured or untraceable driver. There are some instances where you are required to know the insurance status of the driver, and for such cases, the Motor Insurers Bureau MIB would not be able to assist you. However, if you are currently insured and are the victim of an uninsured driver’s carelessness, you are most usually entitled to claim compensation. And in many cases, the Motor Insurers Bureau will help you do this. If you have been involved in a vehicle or car accident that has led to an injury with an uninsured driver, you need to consult a solicitor, engaging the services of a professional who will determine the right course of action for you. When you secure the help of a professional who is already familiar with the MIB claims process, your chances of receiving compensation will be improved. We are well versed in handling cases of injury victims who have fallen foul of an uninsured driver. We have handled hundreds of such cases. We have produced a guide to making a motor insurers’ bureau claim to educate our prospective clients so that they can make a properly informed decision about what to do next. What is motor insurers bureau? A guide to compensation motor insurers bureau claims. What does the motor insurers bureau do? What to do if you are involved in an accident with an uninsured driver. What costs does the MIB Motor insurance bureau cover? How to begin a compensation claim using the motor insurers bureau. What can be claimed for with motor insurers bureau compensation claim? How much compensation will the motor insurers bureau award? What is the average Motor insurance bureau MIB payout for whiplash? No win no fee (MIB) motor insurers bureau claims. Why choose us as your claims service for a motor insurers bureau claim? The Motor Insurers Bureau is an organisation set up to compensate victims of accidents caused by uninsured drivers or drivers that can’t be traced. The body was set up by the government of the United Kingdom for this purpose in 1946. It is funded by an annual deduction of about £30 from the insurance premiums paid by vehicle owners. Being involved in a road traffic accident is a nasty experience, but when you are involved in one caused by an uninsured or hit and run driver, it can become even more stressful. The MIB is the UK legal body that assists people in these cases. Any claim that is handled with the assistance of the MIB, must happen within a period of three years after the accident. Any claim that exceeds that period won’t be acknowledged or processed. The Motor Insurers Bureau was set up to provide a way to compensate those who are exposed to life-threatening experiences and who sustain injuries because of the errors of uninsured or untraceable drivers. Damages can be claimed for personal injuries, and also for property damage. A further benefit is that even if you can claim under your own insurance policy, the MIB can still indemnify your insured losses. This page contains important information needed to make a damages claim with the assistance of the Motor Insurers Bureau. The MIB provides a free booklet containing information that must be carefully digested before making a claim for compensation. Most Citizens Advice Bureaus should have this booklet. We recommend that anyone who feels that the MIB can help them gets a copy of this booklet and reads it. Its second page gives the MIB claims contact number as well as other contact information for the MIB, and a summary of what you should be ready to do when you call. The first thing the MIB will need to do is to establish your identity which will be verified by their internal database. Note that if you use the paper MIB claim form, you won’t be able to process the claim through the MIB on-line portal, so keep this in mind before deciding which way to begin your claim. The leaflet features information on what the MIB is, what they do, and how they are funded. There is a section that outlines the process for making claims depending on specific scenarios. Full instructions on how to complete the MIB uninsured claim form are provided. Either by filling in the paper-based form or using the on-line claim form. Claimants are advised not to default on the submission of their forms, and to ensure they do so on time to ensure rapid processing. Even if you don’t have all the information required, it is still advisable you submit the form with the details that you do have, as defaulting could invalidate your claim. You will be contacted by the Bureau for more information. After you have submitted your claim form, an investigation will be made into the accident and the cause of it. The investigation is for the purpose of establishing responsibility. You will be fully compensated if the uninsured or runaway driver is responsible for the accident. In cases where the claimant is wholly or partially responsible, compensation may not be paid or may be reduced. What does the MIB Motor Insurers Bureau do? The MIB has been put in place, to protect the public from damages both physical and financial, caused by uninsured or runaway drivers. There will always be people who will flagrantly disobey traffic laws. There will always be people who don’t care about playing safe, and they can’t be avoided. If you have suffered injury, financial loss or property damage due to an accident caused by an uninsured driver, you don’t have to shoulder this loss, the Motor Insurers Bureau should be able to assist you. We also advise against using an MIB claim calculator as this works with general estimates that are not specific to your unique situation. Instead, we recommend you take advantage of our free consultation service, so you can get an accurate idea of how much you are entitled to for a personal injury claim or property damage claim. The Motor Insurers Bureau has processed and awarded millions of MIB claims payouts since it was setup, and there is no reason why it cannot assist you to make a damages claim if you have suffered an injury at the hands of an uninsured driver. The MIB website gives more detailed information on the services they can provide, which can be found at www.mib.org.uk. Think first, panic later. You have to think about what is important if you are in a vehicle or car accident with an uninsured driver. And if it happens to be a hit and run accident, try your best to obtain the plate number. You should also note the car model and colour and try to get witnesses details. This will help in attempts to trace the vehicle and driver. In a case where the driver is uninsured, take photos of the accident scene and contact the police before contacting the MIB. At the end of the day, these proactive steps will save time, expedite your claim process, and you will receive your compensation sooner than if the Bureau had to do the investigation on its own. If the uninsured driver is unwilling to take responsibility, you should document what occurred at the car accident or vehicle accident scene as accurately as possible. One thing you should not do is to accept money at the scene of the crash. This nullifies your eligibility for MIB assistance with your compensation claim. The MIB is responsible for paying compensation to individuals that cannot be claimed against a third party such as an uninsured driver, or a driver that fled the scene of the accident. Normally, compensation will be paid within 3 months. The compensation paid by the MIB includes everything a claim against a motor insurance company would normally cover. This includes payments for vehicle damage as well as the pain and suffering caused by your injuries. You have the opportunity to claim for loss of income and other costs. You can also claim for loss of a no-claims bonus or any excess charged by your insurer in handling the claim. The uninsured drivers’ scheme – this compensation plan is activated when the driver that causes or contributes to the accident is uninsured. Costs covered by this scheme include that of repairing/replacing your vehicle, hire charges, and property damage. You can also claim for personal injury, treatment and rehabilitation costs. The untraced drivers’ scheme – this is activated when the driver responsible for the car accident or vehicle accident flees and can’t be traced. In this scheme, the MIB pays a fixed amount of £500 + VAT in contribution towards the victim’s legal fee. The green card scheme – this is activated when the accident is caused or contributed to by foreign drivers. Here, the MIB steps in to deal with victims who may not be getting any response from foreign insurers. If you can make a claim from your vehicle insurance company, we recommend that you do, as it is simpler. However, it is not compulsory to do so, and you will still be able to claim compensation from the MIB for personal injury, even if you claim for property damage via your own motor insurance firm. We offer a free consultancy service to help you determine the viability of your claim, and to outline the important things you need to do, to fast track the processing of your claim. We will capture all of the key facts and details of your accident, and advise you on the best action to take to move your claim forward. We can help you deal with the Motor Insurers Bureau, we know how the MIB works, and how to make sure you will have the best chance of receiving damages after making a compensation claim. In 99% of cases, we will offer to do this under a No Win No Fee agreement, you don’t pay us a thing unless we win damages for you. 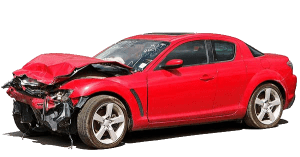 Vehicle Damage – this is the compensation paid for physical damage to your vehicle. However, in cases where the vehicle needs to be repaired or replaced, and the vehicle is insured, it is faster and easier to do this with your own insurer especially since this doesn’t affect your compensation claim for other damages from the MIB. General damages – this is the compensation paid to claimants to make up for injury, pain, and suffering which is caused by the car or vehicle accident. The severity of the injury and the effect on the quality of life drive the amount of damages awarded. Care claim – in the case of an injury that leaves the victim requiring constant care in the home. Either short-term or long-term, compensation should be available to cover the costs. Loss of earnings – if you had to take time off work probably to recover from the injury sustained in the accident, then you should file for loss of earnings. Once you have evidence to support the claim that you have been absent due to the injury or accident, then the bureau can compensate you for your loss. We can help you determine how much you have lost. Travel Expenses- This is the cost of mobility after the accident, and it is paid by MIB when the estimates have been determined and approved. Medical Expenses- this is the cost incurred during treatment of the injury caused by the accident. It also covers long-term treatment and therapy. It is better for you to engage the services of a solicitor, who will help in determining the compensation you are entitled to. You will need professional help to determine the indirect and ongoing costs of your injury, and to evaluate the impact it has had on your life in financial terms. We are available to help you determine this, and we have years of experience which help us to adopt the right strategy. The compensation available when an injury has been caused by an uninsured or hit and run driver depends on the conditions that led up to the accident, the specifics of the person at fault, and how serious the injury is. It is best to consult us to help you get a fair estimate of what to expect depending on the injury and losses incurred. We have however gone the extra mile to give you an idea of what compensation you should expect given specific situations. While the amounts stipulated here aren’t wholly accurate projections of how much you will be compensated, they are good rule of thumb examples based upon historic data. This table is by no means exhaustive, and if you have any specific enquiry, please get in touch with us by calling 0800 073 8804. Motor insurance bureau compensation amounts below. Whiplash Severe £5,000 - £7,500 Severe Whiplash and pain to neck back and shoulders. Whiplash Minor to Moderate £1,000 - £5,000 Minor Whiplash Minor aches and pains to the neck area And Moderate Whiplash pain to neck back and shoulders. Leg Injury Minor £1,800 - £18,000 Bone fracture, tissue damage or loss of function in one or both hands as result of the injury that will last less than a month. Hand Injury Minor £4,500 - £30,250 Restriction of movement of arm or pain as result of the injury that will last less than a month. Arm Injury Minor £350 -£10,000 Damage to the back, with pain as result of the injury that will last less than a month. Back Injury Minor £350 -£10,000 Damage to the back, with pain as result of the injury that will last less than a month. Head Injury Minor £1,500 - £9,500 Damage to the head that did not result in brain damage as a result of the injury that will last less than a month. Foot Injury Moderate £18,500 - £53,000 Loss of function of one or both feet, with an ongoing disability as result of the injury that will last less than 6 months. Knee Injury Moderate £20,250 - £33,200 Long-term damage to the knee, resulting in loss of function and ongoing pain as result of the injury that will last less than 6 months. Leg Injury Moderate £21,750 - £104,000 Loss of function of one or both legs as result of the injury that will last less than 6 months. Hand Injury Moderate £22,500 - £47,750 Reduced function of one or both hands as result of the injury that will last less than 6 months. Arm Injury Moderate £30,100 - £99,750 Loss of function of both or one arm, or ongoing pain as result of the injury that will last less than 6 months. Back Injury Moderate £30,750 - £9,000 Damage to back, with long-term ongoing pain as result of the injury that will last less than 6 months. Head Injury Moderate £12,500 - £200,000 Injuries that result in impaired mental ability, change in personality of loss of motor function that will last less than 6 months. Knee Injury Severe £39,700 - £73,000 Permanent loss of function or one or both knees as result of the injury. Leg Injury Severe £75,100 - £215,000 Amputation of one or both legs as result of the injury. Hand Injury Severe £46,300 - £151,250 Amputation or loss of function in one or both hands as result of the injury. Arm Injury Severe £74,200 - £227,250 Amputation of one or both arms as result of the injury. Back Injury Severe £29,750 - £123,500 Loss of motor function or paralysis as result of the injury that will last more than 6 months. Head Injury Severe £215,000 - £310,000 Injuries that leave the victim in an unresponsive and in a vegetative state with little likelihood of recovery due to severe brain damage. Foot Injury Minor £5,300 - £11,000 Damage to foot and pain as result of the injury that will last less than a month. Knee Injury Minor £4,750 - £19,500 Damage to the knee, causing loss of function or pain as result of the injury that will last less than a month. What Is the Average MIB Pay-out for Whiplash? The average payment made for whiplash depends on the duration and extent of the injury. However, you must ensure that there is medical evidence to support your claim of a whiplash in the first place. When it comes to the average amount received by people for whiplash, the amount varies not only because of the peculiarity of each situation, but also because of the solicitors who made the claim. Some are more effective than others. Compensation ranges from £700 for a couple of weeks of mild discomfort, to over £6500 for whiplash with more severe symptoms, that lasts for some months. Normally, when you are involved in an accident and need to make a compensation claim, it means you will have to spend your own money on legal fees and representation. For many people, this can be an inhibitor to approaching the MIB to help them claim compensation, even if the prospect of receiving compensation is favourable. We have an answer to this problem. We can represent you, and assist you in your dealings with the Motor Insurers Bureau, on a No Win No Fee basis. You don’t pay us anything unless we win compensation for you. Even after you win, you will only pay an overall fee of up to 25%. Don’t let a lack of finances stop you from receiving the compensation you deserve. You are always free to contact the Motor Insurers Bureau on your own behalf, but why would you when we offer to represent you under a No Win No Fee agreement? We have plenty of experience in dealing with the MIB. This means we know how to shape your claim for damages to a) ensure the highest likelihood of a successful outcome and b) make sure you receive the highest compensation pay-out possible. We will always represent you in a professional manner, and always take care never to do anything that could potentially jeopardise your compensation claim. We offer support and advice across the life cycle of the damages claim, making the entire processes as simple and efficient as possible. Remember that there is a time limit on how long you can leave it to make a claim for compensation with the assistance of the Motor Insurers Bureau. You need to contact us now, to make sure that you don’t miss your claim window. You don’t have to pay the price for someone else’s disregard for the law. Let us help you make the best of a bad situation. If you have suffered an accident at the hands of an uninsured driver, causing an injury, please get in touch and find out how we can help you. Call us on 0800 073 8804 or use the contact form on this website to reach out to us. If you have legitimate grounds for making a claim for compensation, we will ensure you get the best advice and representation possible. This is our speciality, and no one does it better than us.